What is the similarity between oil prices and shipping freight rates? Of course, the first similarity is that the prices of oil and shipping freight rates have been consistently falling for the last two years. Both oil prices and shipping freight have another similarity. Both have been hit by a global economic slowdown which has resulted in contraction in demand. But the most important similarity between oil prices and shipping freight rates has been the build-up of excess supply. Like oil companies invested heavily in shale capacity when oil prices were at above $100/bbl, similarly shipping companies also built up tremendous capacities during the last 3 years when the CCFI Freight Index was quoting in the range of 1150-1200. Today the index is down to 735 and, with more capacity coming up by the year 2019 it is doubtful how much the freight rates can increase from here. Consider this simple example. Today it costs less than $300 to move a 40-foot container from Shenzhen in China to Rotterdam in the Netherlands. This is not even sufficient to cover the cost of fuel and handling. Even if we do not consider the exorbitant Suez Canal fees, the entire trip is unviable to begin with. But cargo is still moving at these cheap rates, before ships cannot afford to idle. Remember, both oil extractors and shipping companies have taken on tremendous debt to fund this expansion and hence they will have to continue to supply, irrespective of low prices. As the above chart suggests, Shipping Freight Index has fallen from a high of 1150 in 2014 to as low as 735 in March 2016. For a very long time, the large shipping companies could manage to maintain the price at profitable levels due to their control over the shipping lines. But then, enormous shipping capacity has been built up in the last 3 years. Shipping capacity grew from 15.4 million TEU in 2011 to 19.6 million TEU in 2015. Hence, the luxury of managing price is not there with shipping companies any longer. The immediate mandate is to run all ships at full capacity and focus on market share instead of pricing. So, is it all about a global slowdown in trade? There has been a slowdown in trade worldwide over the last one year, including in China. But weak trade does not tell the whole story. For example, China’s annual imports are at $1.95 trillion and annual exports at $2.4 trillion. At a total trade value of $4.35 trillion, China is still contributing a lot more to global trade than it was doing 3 years ago. Ironically, the CCFI freight index was at a high of 1200 before 3 years. Therefore, the fall in volumes does not entirely explain the sharp fall in shipping freight rates. We have already seen how Global Container Ship Fleet has increased its capacity by 27% in the last 4 years. The demand has simply refused to keep pace with this massive overcapacity that was initiated back when the CCFI Freight Index was at a high of 1150-1200 range. In fact, global consultancy firms like the Boston Consulting Group (BCG) expect another 30% increase in container ship fleet capacity by 2019 before the overall supply will plateau out. · The fist strategy has been to keep their cost of operation at optimal levels to stem losses for the next few quarters. One example is of container ships moving oil via the Cape of Good Hope instead of the Suez Canal. 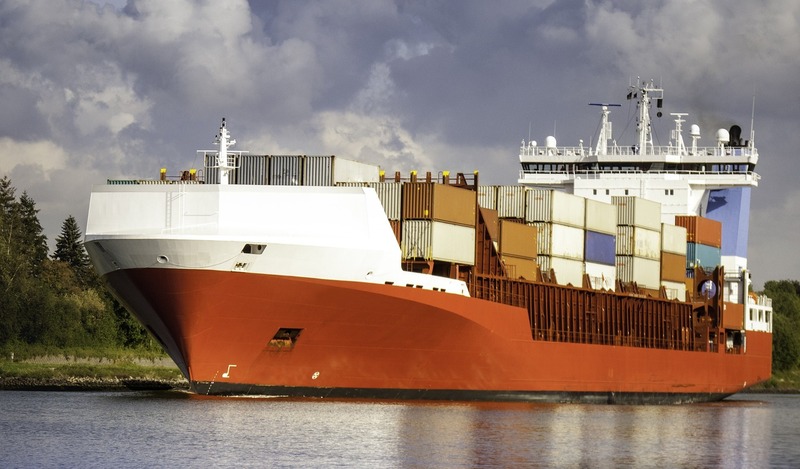 Due to cheap crude oil prices, shipping companies can afford to do the same. This also enables them to save on the Suez Canal fees and also make profit out of trading in oil in the midst of volatile prices. · Some shipping companies are trying to kill excess capacity to ensure that this supply disruption will impact prices positively. For example, Maersk A/S, the world’s largest shipping company has recently cancelled orders for 6 Triple-E class ships. Such cancellations may become more common as shipping fleets will try to move towards supply disruption. · Shipping of freight is a highly commoditized business and the scope for differentiation is quite limited. Hence some of the larger shipping fleets are trying to diversify towards other higher margin businesses like port terminal operations, marine maintenance services and supply chain management. · There is likely to be a major shakeout in the shipping freight industry. Many large fleets have invested hugely in creating economies of scale. Smaller and medium sized companies in this space may now become acquisition targets as supply gets automatically streamlined and rationalized. Normally, such tough times get to see synergistic alliances where competitors tend to complement each other. For example, two of the largest shipping companies, Maersk A/S and MSC have already formed alliances to share routes and costs. Similarly, four of the largest Chinese have also formed a national alliance to create virtual scale in the shipping industry to tide over this situation. We believe that the future of the Shipping freight industry lies in a kind of Uberization. Today the Shipping industry is vastly demarcated between the large fleet carriers and the small & medium sized carriers. The small and medium carriers are already finding it hard to survive in this tight freight market. With the larger names forming formal and informal alliances, the effort will be to squeeze out the small and mid-sized companies from the shipping freight business. The major drawback in the global shipping freight industry is that there is no scientific methodology for aggregating demand and supply and matching them. Once this is done the entire shipping freight business can become a lot more democratic and competitive. That is probably the best answer to the woes of the shipping freight industry today.